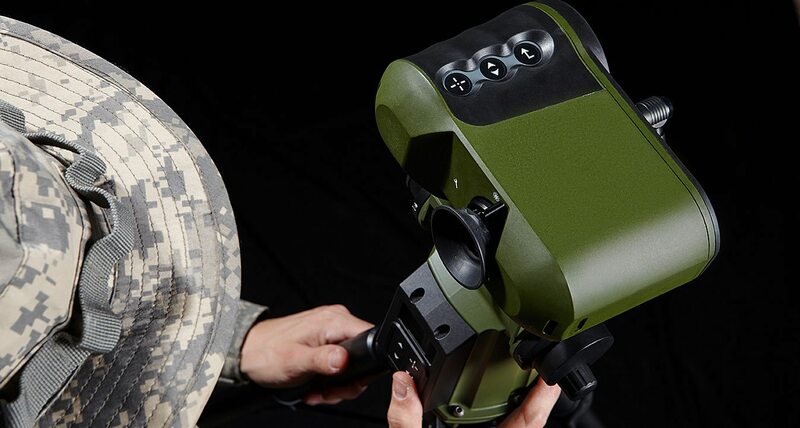 Precise target acquisition forms the basis for every successful military mission, and joint fire support teams that combine the capabilities of air, artillery and mortar observers are becoming increasingly important. Coordinated and above all reliable joint fire support is hardly possible without the exact coordinates of precise target acquisition. Decisive technological developments, such as the use of GPS-steered munitions in combination with improved observation equipment for target acquisition and determination, allow even ground-to-ground weapons such as rockets, mortars or artillery to be used effectively and with high precision to attack local and individual targets. Precise target acquisition thus makes joint fire support an essential aspect of force protection. Safran Vectronix offers a broad range of sophisticated systems for reconnaissance and target acquisition. For example, the successful STERNA series enables mobile forces to determine exact target positions in virtually every environment and under all conditions. As an extremely lightweight, portable target acquisition system, it is ready for use in seconds with minimal effort. Even in a GPS disturbed environment, such as next to an armored vehicle indoors or in densely populated urban areas, the STERNA system delivers reliable target data with extremely high accuracy – a target location error (TLE) corresponding to CE90 CAT 1 (less than 6 m deviation from target). This allows deployed forces to maintain real-time contact with their joint fire support team. As a modular system, the STERNA series can be adapted exactly to the mission requirements. In combination with a MOSKITO TI, targets at distances up to 10 km can be observed for target acquisition. Adding optional night vision and thermal imaging functionality considerably expands the capabilities for efficient and reliable target acquisition. The position of the fire support team is determined by an integrated digital compass and can be sent to the command center at the push of a button. The smaller the target, the more important it is to have a small target radius, so that potential collateral damage can be kept as small as possible with an airborne attack or with fire support by artillery or mortar bombardment. That makes a small target location error (TLE) essential. A Category 1 TLE gives the fire support team exactly the technology it needs for precise target acquisition together with an adequate safety zone. Real-time communications and easy integration over C41 networks additionally enable quick decisions on access and attack modes, leading to efficient and successful fire support. In the area of observation and positioning, it’s no coincidence that Safran Vectronix is the world market leader in advanced optronics devices, systems and sensors for target acquisition and reconnaissance. Many of these target acquisition systems have proven themselves in thousands of deployments under extremely severe conditions, and they are often an essential part of the standard equipment of numerous forces. This precision in target acquisition and assistance for fire support teams has its roots in Switzerland with a history extending over more than 90 years. Today Safran Vectronix exports its target acquisition systems to more than 90 countries around the world. As a global partner, we understand the importance of precise target acquisition systems for successful missions all around the world, and we know the specific needs of our customers in the defense and surveillance sectors. All of this technology for precise target acquisition with unconditional functionality is backed up by perfect service that is completely aligned to the needs and requirements of our customers and covers the full lifetime of all of our products – ranging from fast and efficient factory repairs to our specialists in fully equipped maintenance facilities. Our customers around the world appreciate this combination of high-quality solutions and service, because that is the only way to ensure unrestricted capability in all situations. With over 95% of our products being exported to more than 60% of all countries worldwide, we have a wealth of experience in this area. We take the same approach to our services as to our products: always tailored to the specific needs of the users of our target acquisition solutions.